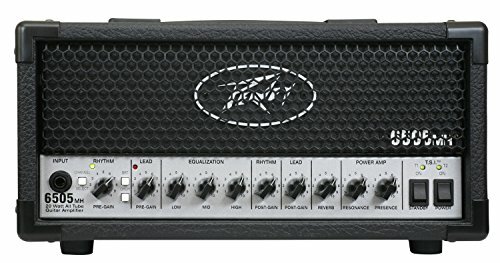 Peavey's 6505 MH mini tube amp head packs all the tonal tenacity that the 6505 series is known for, and it's got what it takes to be a gig-worthy guitar amp, too. You'll never have to worry about showing up to a gig with bad power tubes, because the Tube Status Indicator tells you how they're doing at a glance. Send your tone directly to the PA system with the Mic Simulated Direct Interface, with a speaker defeat switch to turn off your cabinet for lower stage volume (or for silent practice with headphones). And with foot switchable channels, crunch, reverb, and effects loop, you've got all the flexibility you need with the Peavey 6505 MH.